One of the Fes’s most popular attractions is the Tanneries. 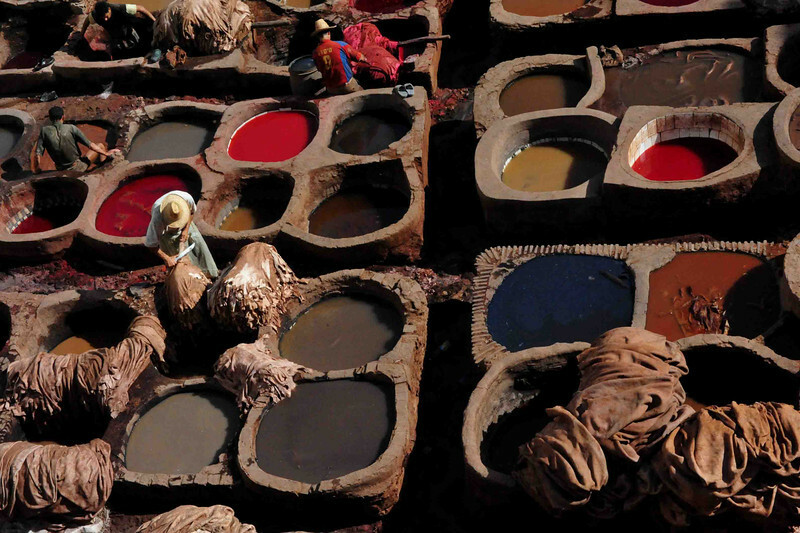 This is where the leather hides are drenched in colourful vats of dye and undertake the full chemical treatment necessary to bring the product to final production. This is a definitely a sight not to be missed but the foul odour can be a little overwhelming.